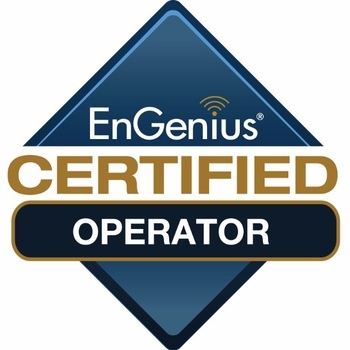 The EnGenius Certified Operator Program (EBP01) is a one-day course intended for system owners / operators, as well as Tier 1 / Tier 2 support specialists. It introduces the EnGenius Neutron managed access point platform, provides a review of the radio frequency fundamentals, and a deep dive into the platform’s reporting, monitoring, and troubleshooting tools. Students will have hands-on exposure to EnGenius Neutron equipment, working through various provisioning and troubleshooting exercises on EnGenius Neutron controllers, switches, and access points.